“Catch me, I’m lookin up at the ground – I thought we were flying, but I was just fallin’ down,” sings a pained TJ Stafford in his spine-tingling song, “Catch.” There’s something incredibly cathartic about exposing our deepest emotions: When we share our pain, we relieve ourselves from the burden of sole ownership. We may open the floodgates to more emotional turbulence, but at least we’re not alone anymore. TJ Stafford bears his soul in the music video for “Catch,” capturing the imbalance and turmoil of heartbreak in a poignant moment of bittersweet reflection. Atwood Magazine is proud to be premiering the music video for “Catch,” off TJ Stafford’s recently-released debut album All My Bad Habits Have Prepared Me for This* (released 6/30/2017 via Saint Rogue Records). The slow-burning ‘sad song’ on a record that tries to find stability between a multitude of relationship and personal obstacles, “Catch” introduces us to a profound artist who captures our attention and compels us into his darkness. 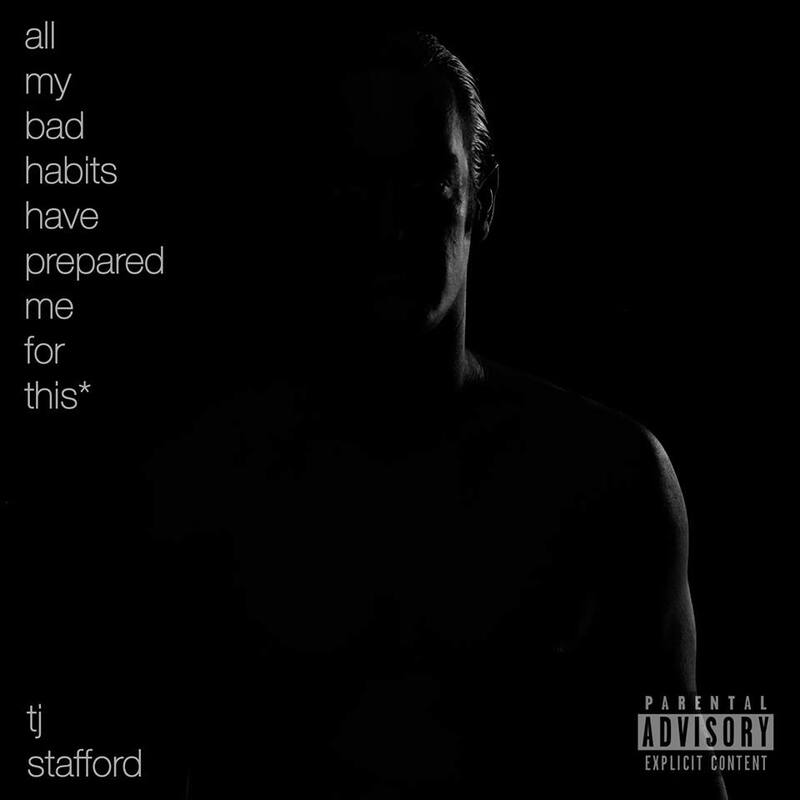 Through harrowing lyrics, beautifully evocative vocals, and enveloping melodies, TJ Stafford manages to evoke in us the same feelings he projects out of himself. A simple piano line follows a plaintive guitar lick as we enter the fray. Stafford’s voice is soft and subtle; he speaks directly to the one who hurt him, “apologizing” as much to himself as to the other person for the love that is now his pain. In the Tony Woo Joun-directed music video, we see Stafford standing alone on a beach, turning to face his ex-partner (portrayed by Camilla Greenberg) and address her directly. What he thought was one thing, turned out to be another. There’s no big mystery behind “Catch”; the truth is, songs about heartbreak generally hit their mark by nature of their simplicity. TJ Stafford goes further, however, in displaying what was and what is; the juxtaposition between love and pain reminds us of that which has been taken away from him. “That being said, I didn’t want to overthink this video; I just wanted it to express the sadness and beauty of the situation. It’s simple and straightforward and, I believe, really beautiful. Like most love stories, regardless of how they end.” Despite him ending up alone on the beach, the love he shared with another was substantial and real: That much cannot be denied, despite Stafford’s regrets. Bittersweet and overwhelmingly wrought with sadness, “Catch” manages still to express the beauty within a love story. Through introspection and emotionally heavy music, TJ Stafford offers an intimate glimpse of heartbreak and its many sides. Look out for more from this incredible musician, and be sure to check out his debut album All My Bad Habits Have Prepared Me for This* – out now!